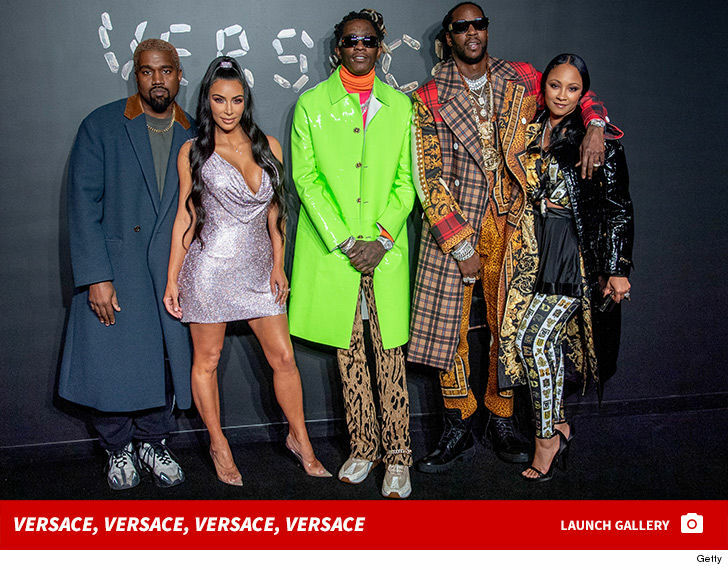 Kanye West and Kim Kardashian are just like you — constantly posing for the ‘Gram with their friends … except their friends are 2 Chainz, Donatella Versace and Hailey Bieber. The Wests were definitely holding court backstage at Versace’s pop-up fashion show in NYC Sunday night, and we got this vid of them rubbing elbows and taking pics with everyone. Kim and Hailey — who was sans her hubby, Justin Bieber — caught up, while Ye and 2 Chainz chopped it up. Kanye was in a great mood, not only mugging for cameras backstage, but having a blast sitting front row during the show. When one of the models dropped what looks like an earring … Ye was Johnny-on-the-spot. Hailey actually walked the runway, along with Gigi Hadid, Amber Valetta and Emily Ratajkowski. Mary J. Blige, Bradley Cooper, Tracee Ellis Ross, Blake Lively and Ciara were just a few of the other celebs who showed up. Point being … tons of people striking a pose — on AND off the runway.